Famous South Indian actress muktha’s marriage fixed. 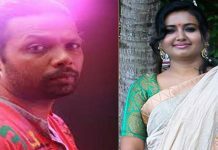 As er the new reports actress muktha marry the famous singer as well as actress Rimi Tomy brother Rinku Tomy . The first reports said by Asianet News. The engagement functions arranged on this month August 23 in kochi and the marriage function is on August 30 in Edappally chruch. After their 4 years love the two families arranged the marriage. Muktha is one of the busiest actress in South Indian industry . she comes to film industry through the famous director Lal jos film “Achan urangatha veedu ” in the year 2005. After that she acted many films in Malayalam and also in Tamil. Emmanuel . Oormayund E Mugham are the latest films of Muktha in Malayalam.